Usually after the Fourth of July, it seems like summer is on the downhill slope. The good thing about working and not having to go back to school is that I can really end my summer whenever I want to. That being said, I'm instating summer all year round!!! I've had a little summer to-do list on my phone for a while now, but haven't gotten around to checking many things off my list. With my "never ending" summer I have all the time in the world to get my to-do list done. On a more real note, I want to start actively checking things off the list! 1. Make a killer homemade ice cream recipe, like this one! 2. Practice my grilling skills, this one utterly failed last night so I have some work to do. 3. Rent bikes and ride around town. We have this little bike rental program in OKC and I have yet to take advantage of it! 4. Make s'mores. Fancy or classic, it's just a summer staple. 6. Visit the farmer's market to pick up a week's worth of produce. 8. Make a picnic and enjoy it in the park. 9. 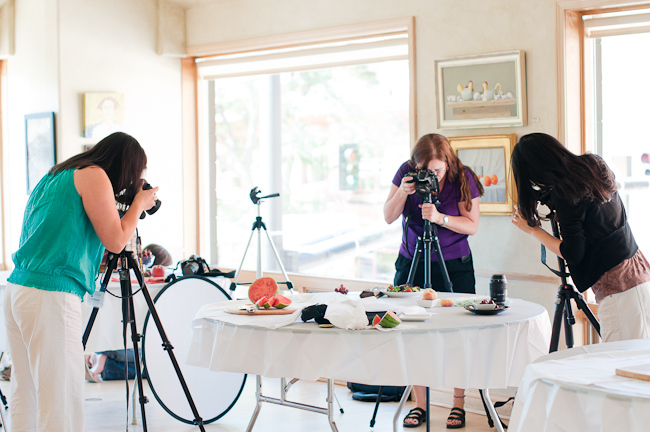 Take a food photography class. Brit+Co has one for $20! I'm a big list maker. I'm one of those people who writes something in on my TDL after I've already done it, just so I can cross it off. Productivity drives me! Writing this post was on yesterday's to-do list, check! Happy girl to get that done. Stay tuned to see if I get everything checked off my Summer TDL!